The Penn Boys Soccer opened Class 3-A with a powerful statement as the host Kingsmen defeated LaPorte, 7-0, on Monday, Oct. 1. 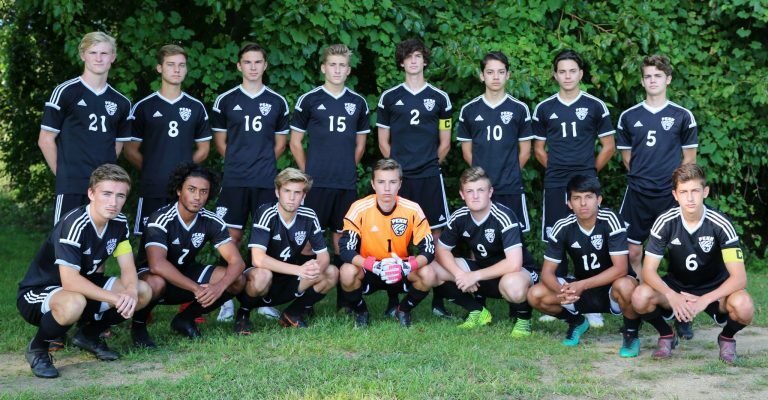 Jeffrey Harper, Alex Karamitsos, Peter Smith, Evan Pica, David Ross, Ryan Hague and Jesus Marquez scored goals for the Kingsmen. In the first half, Jeffrey Harper struck first. Alex Karamitsos and Peter Smith then brought a lot of energy and strength each scoring one goal in a matter of five minutes off the bench. Evan Pica, David Ross, Ryan Hague and Jesus Marquez kept the Kingsmen in command with second-half goals. Beautiful assists by Dorian Clayton, Ethan Koselak and Alex Karamitsos fueled the Kingsmen attack. Penn advances to the Sectional semifinal round. The Kingsmen play South Bend Adams at 5 p.m. on Wednesday, Oct. 3, at Penn. Penn beat Adams 5-1 in the regular-season.